Colonel William H. Silsby, a distinguished Civil War veteran, purchased this substantial dwelling in the Ashland Railroad Addition during the district's heyday and on the eve of the Rogue River Valley's orchard boom. The house embodies design characteristics of the Queen Anne style popular throughout the region at the end of the 19th century. It is distinctive when compared to neighboring dwellings in the Railroad Addition in scale, size and architectural detailing. The Colonel William H. Silsby House possesses integrity of location, materials, workmanship, design and feeling. 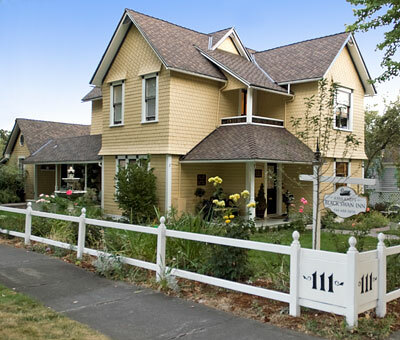 It is one of the best preserved Victorian houses in Ashland.